Feng shui for wealth is one of the most popular applications of feng shui. The focus on attracting material wealth is actually one of the reasons feng shui became so popular in the West since we’ve heard about many business tycoons using feng shui for more profits and stronger financial security. Of course, there is much more to feng shui than its wealth building appeal! You can use feng shui to create a better quality of life, improve your health, attract more harmony to your relationships, help build a successful career, etc. The main feng shui wealth color is gold, gold, gold (of course!) In any decor items – mirrors, frames, lamp bases, trays, coffee tables, etc – whatever your house decor can feel harmonious and happy with! Just be sure to actually love those golden beauties, do not bring something just for the sake of its look if you are not connected to it emotionally. Next feng shui wealth color is purple and, just like with gold color, you can bring it with a variety of decor items. From painting to pillows, rugs or big book covers – see if this wealth feng shui color can be genuinely welcomed into your home. Use both colors tastefully and wisely, meaning create simple beauty and decorate with objects that you really like – this is how they will start working for you as intended. There is a specific money area in feng shui that needs to be treated right, and for this, you have to know the Bagua, or the feng shui energy of your space. Here we are referring to the creation of a small altar/shrine/sacred space that you devote to the energy of wealth. It can be anywhere (except your bathroom, laundry or garage), and as big or as small as you like. Basically, you want to create an area that has the task of collecting wealth energy. 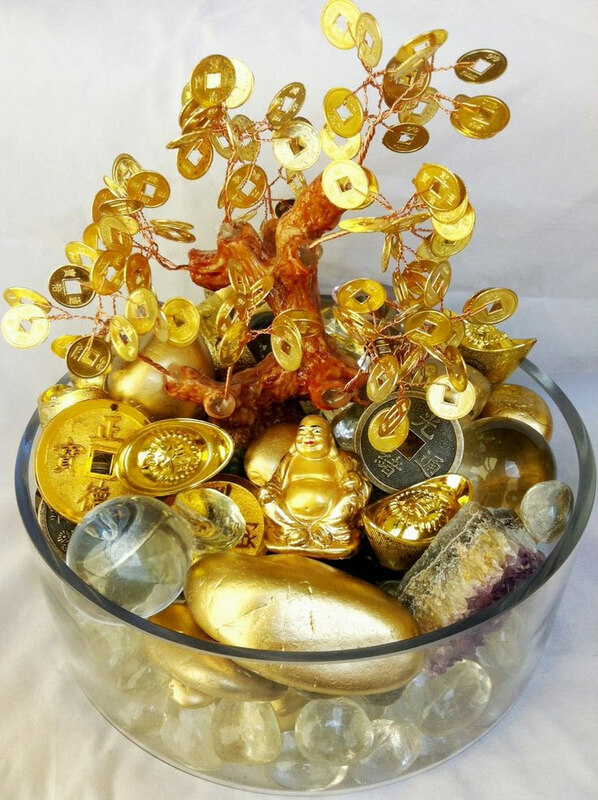 Decorate it with meaningful to you items of wealth (jewelry, specific photos, objects of value, etc), as well as good feng shui energy activators such as crystals and plants. Money plant or not, lucky bamboo or not, know that decorating your home with lush, verdant happy plants in good looking, solid pot is an excellent feng shui wealth magnet. East, Southeast, and South areas are the most greenery loving feng shui areas in your home. The association of the energy of water with wealth is obvious, very ancient and present in all cultures. 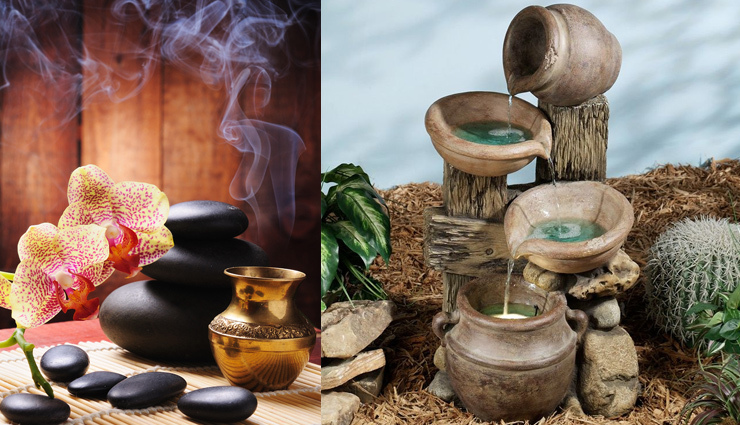 Fountains are the most popular feng shui for wealth cure, so if you love fountains, find one (or more) good quality fountains and place them in the best feng shui areas of your home (either inside or outside). Mirrors are the absolute must have feng shui wealth magnet for so many reasons! They bring more light, joy and the energy of the water feng shui element into any space. Mirrors also create beautiful pathways for new and joyful opportunities, just be sure to go for the best mirrors you can find; the ones that your heart adores and your room looks good in. Golden framing is obviously the best choice for a mirror as a wealth feng shui cure.